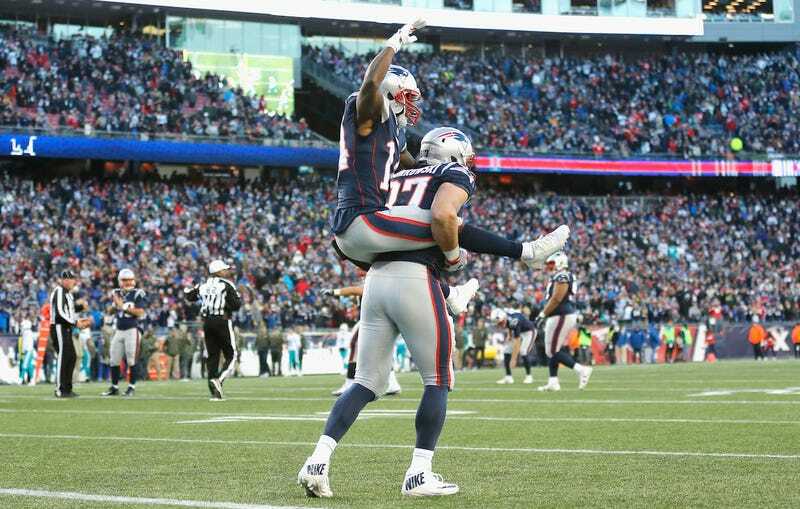 Right after Brandin Cooks caught a five-yard touchdown pass to give the Patriots a 17-point lead over the Dolphins Sunday, he hopped on Rob Gronkowski’s back and rode his teammate like he was an affable stallion. When Gronk was asked about the funny celebration after the game, he did a bad job of pretending it was impromptu. The gears in Gronk’s brain were whirring right in front of the assembled press, so his actual answer was definitely, totally genuine. It’d be really fun to play poker against Gronk.